Coming this spring, Splenvid is the latest solution to creating meaningful and comprehensive video content. Founded by former Google employees Henry Green and Jeff Raubitschek, Splenvid’s ambitious goal is to create videos automatically for you, no editing required. Green is like most people. He loves to take pictures with his children, commemorating memories as they are made. With ever-progressing photography technology, taking pictures and videos is becoming easier and more prolific. But Green soon learned that that the emerging mobile camera technology was creating a disconnect for the average user. Whenever Green would sit down to compile the videos and pictures of his family, he found that the current solutions to long-length multimedia sharing were not up to snuff. “The problem with good storytelling through longer-form video is that it takes a lot of time, effort, and software,” Green says. Splenvid’s goal is to supply the time, effort, and software so all the user has to do is supply the content. According to Green, what was the point of technology that made the act of taking photos and videos more efficient and stimulating, if the act of compiling and sharing was too time consuming and too bothersome? “Our goal is to free users from having to laboriously compile their photos and videos in one aesthetically appealing product,” says Green, “so they can focus time doing things they like to do.” Like capturing more photo and video memories. Green and Raubitschek have engineered Splenvid to be a zero-button, automated compiling service that takes a raw mass of photos, videos, and messages and creates a full-length video. 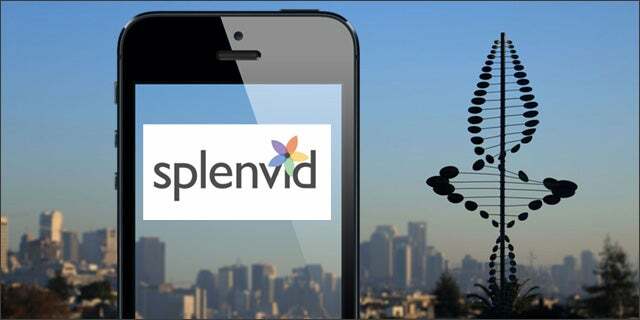 With Splenvid, big multimedia compilations can be automatically created and shared through the user’s mobile device. Splenvid not only automates the compilation of a user’s video, but it also automates user preferences the more it is used, such as tagging and incorporating content from linked devices and users. When every minute is another opportunity to create enduring memories, get back to capturing faster with Splenvid. Splenvid was a showcased startup at our Tech Cocktail San Francisco mixer.